Which tool to use? Flexbox or Grid? A common question I have seen people ask is which of the new CSS layout tools (Flexbox or CSS Grid) to use to solve a problem. Because Flexbox has been implemented in the browsers for some time, many have used Flexbox to create a grid layout. Rachel Andrew has a simple explanation that I have found helpful. Last week, I came across an example that where both of these tools could be used to solve different problems in a site. Both the primary navigation and the menu navigation could use Flexbox as a solution since they are both one dimensional layouts. 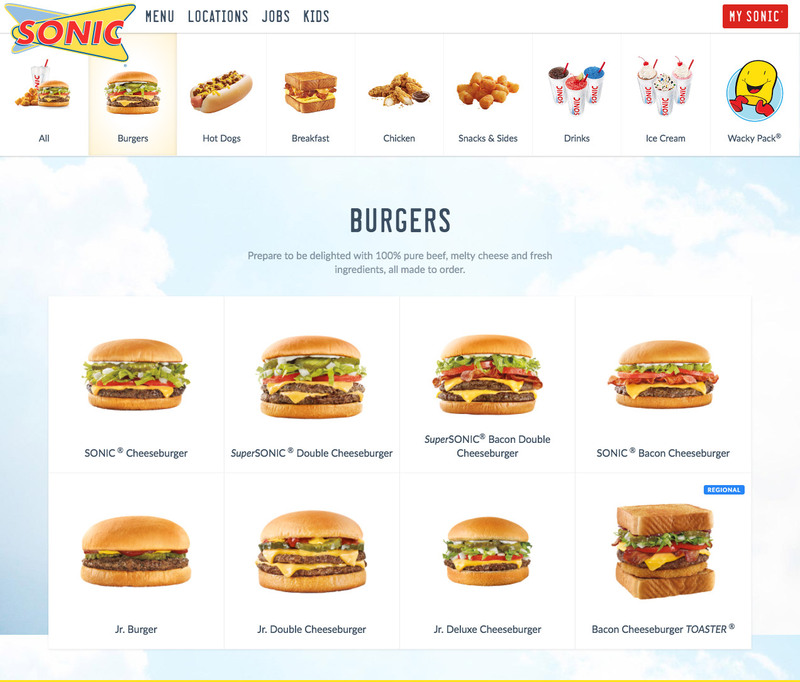 And then the listing of different hamburger options would use grid layout for rows and columns. And then within the grid items, you can use Flexbox for the layout with the menu item name and image. I coded out an example on CodePen. The pen is responsive but I was mainly focused on the desktop view as an example of using Flexbox or CSS Grid to solve the layout problems. You will need to use an up-to-date version of Firefox or Chrome to see the CSS Grid layout in action. See the Pen Sonic Menu Page with Flexbox and CSS Grid by Jeff Bridgforth (@webcraftsman) on CodePen. I love this article, thank you!